“It’s Halloween, everyone’s entitled to one good scare.” So believes the sheriff in the iconic horror movie that introduced the world to the terrifying Michael Myers, Halloween. Malek Akkad, producer of the Halloween franchise, fully approves of that sentiment, and hopes to take it one step further – for charity. 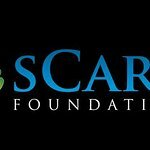 Akkad is excited to announce the launch of the sCare (Suspense Community Allocating Relief and Empowerment) Foundation, a non-profit organization dedicated to alleviating the hardships of poverty and homelessness facing today’s youth throughout Northern America. The sCare Foundation is focusing on issues affecting youth to honor the suspense genre’s largely teenage fan base. The sCare Foundation plans to partner with national youth non-profit organizations to provide financial support to their existing youth programs and to arrange special sCare activities for the children, such as set visits to suspense films, movie screenings, video contests, celebrity meet-and-greets, and more. In addition to working with children in need, sCare’s aim is to involve more young people in philanthropy and, at the same time, develop and apply their passions and skills to giving back to their communities. Recognizing that most suspense fans are creative and technologically savvy, sCare hopes to nurture those interests by getting the fans involved in contests to create videos and graphic t-shirts, and in expanding sCare’s presence online, at horror conventions, and in the philanthropic world. sCare wholeheartedly believes that the suspense genre demographic is an untapped resource of unlimited potential in giving and changing our global community. As founder of sCare Foundation, Akkad draws upon his twenty-five years of experience and relationships in the film industry to organize strong support of sCare from horror and suspense luminaries, celebrities, and directors. Akkad produced the last five installments of the successful Halloween franchise, including Rob Zombie’s 2007 remake of the original film, Halloween, which holds the record for the highest grossing Labor Day opening in history. Akkad is currently developing several features and television series, with partnerships at Dimension Films, Anchor Bay Entertainment, E1, and Cartoon Network. Find out more about this fantastic new foundation here.